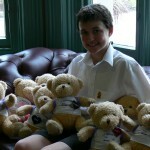 Home News Student raises funds to purchase 20 CT bears. Student raises funds to purchase 20 CT bears. UPDATE: Several CT Bears went to the NZ to assist children experiencing grief following the tragic mining disaster in Greymouth in 2010. The remainder of CT Bears are helping children in South Australia who have experienced trauma. Fraser is planning to conduct another fundraiser with the Bears in the near future. In early 2010, after learning about the Children of Phoenix Foundation and its mission and aims Fraser contacted Professor Caroline Taylor to say that he wanted to help the foundation by raising funds to purchase CT Bears to give to local child welfare services across Adelaide. 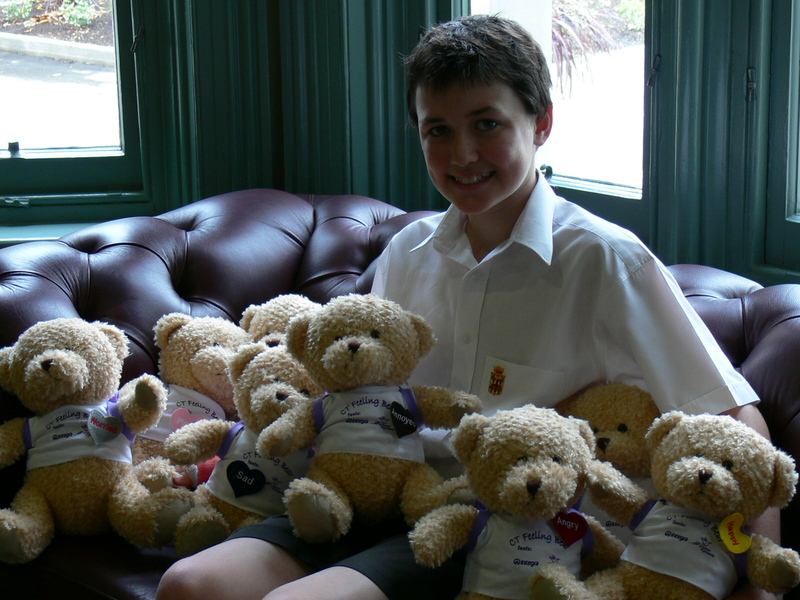 Fraser set about preparing and giving a talk to fellow students at his school and in November Fraser contacted the foundation to advise he had raised enough funds to purchase 20 CT Bears. The foundation packed up 20 bears and sent them to South Australia. The New Zealand mining disaster in Greymouth also occurred around this time and someone from the welfare sector in South Australia saw CT Bear and commented on how helpful CT Bear would be for children who had lost loved ones in the mine tragedy. Fraser made the decision to donate a number of CT Bears to New Zealand and they travelled to Greymouth, New Zealand where they are helping many children deal with trauma. CT Bear is helping many children and assisting many counsellors who work with children and young people. CT Bear has proved popular with all children as a special bear to help children communicate their thoughts and feelings to others and helping parents and other adults by being a great communicator for adults to check-in on the emotional state of children. CT Bear has travelled far and wide so far. He is at ‘Twelves’ in Plymouth, UK which is a specialist counselling and support unit for children affected by sexual violence; Women and Children’s Welfare services and shelters in Port Moresby, Papua New Guinea; Greymouth in New Zealand helping children deal with the recent mining tragedy. CT Bear also has a home at several schools in Victoria where he helps children feel safe and comfortable to communicate feelings with others and he has a home with many children whose parents know CT Bear is a wonderful friend for their children. Children of Phoenix is very proud of Fraser and his tremendous achievements. He has shown himself to be a young man of compassion and maturity beyond his years. In 2011 Fraser will be travelling to Victoria and will meet with Professor Taylor and members of the Board and Friend’s of Phoenix where he will receive a special thank you from the Board of Directors.